Annie is a young Navajo girl who refuses to believe that her grandmother, the Old One, will die. Sadly, Annie learns that she cannot change the course of life. Text copyright 2004 Lectorum Publications, Inc.
Patricia Miles Martin is the author of several books for young readers. Much of her writing is inspired by the time she spent living on a farm in Kansas and a Navajo reservation. Peter Parnall is the award-winning illustrator of over 80 books, some of which he also authored. Many of his books involve animals and nature, especially in the desert. 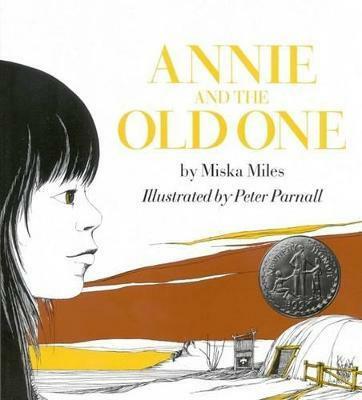 Annie and the Old One received a Newbery Honor and a Christopher Medal.